Accident history. This information will include when the accident took place, where it took place and what parts of the vehicle were damaged. Damage history. This can include weather-related damage and accidents that happened while your vehicle was parked in your driveway. 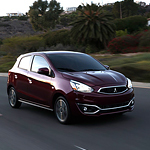 The staff of Bill Holt Mitsubishi are proud to include the Mitsubishi Mirage amongst our collection of popular subcompact cars. The engineers and designers behind the Mirage included a wide variety of technology features, which help to make it an easier and more enjoyable experience for everyone to drive. Two specific features of note in the Mitsubishi Mirage are the embedded Bluetooth wireless connectivity, and a smart touchscreen centered on the dashboard. Visit Bill Holt Mitsubishi and take a look at why motorists are so excited about the release of the new Mitsubishi Outlander PHEV. 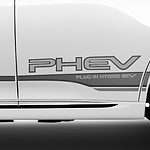 This popular compact SUV plug-in hybrid comes with a number of technology features making driving safer for all. The Blind Spot Information system that comes with the new Mitsubishi Outlander PHEV will increase your visibility behind the vehicle. When a vehicle is traveling too close in your blind spot, that is when your side mirrors on the adjacent side will begin flashing, giving you ample time to maintain your position until that vehicle has moved on. 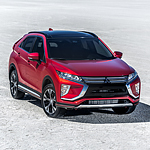 The Mitsubishi Eclipse Cross provides drivers with the extra convenience of touchpad control. With the touch of a finger, drivers can interact with and control a number of critical vehicle related systems. At the same time, the Eclipse Cross allows drivers to keep their eyes on the roads with the application of the available heads up display system. 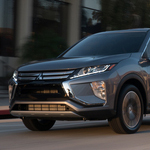 The 2019 Mitsubishi Eclipse Cross is a high-tech vehicle ready to integrate with your personal devices and keep you entertained. Using the Mitsubishi Connect app and touchpad controller, you'll be able to access your smartphone at home and on the road. Mitsubishi Connect is an app available on Apple's App Store and Google Play that you can download to your own device. 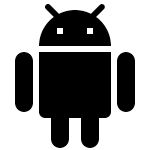 Once you register, the app allows you to monitor and control your vehicle remotely to start it, lock and unlock its doors, and among other things. Owning and maintaining a vehicle is a big responsibility, and we at Bill Holt Mitsubishi want you to be an informed owner who knows how to take care of the vehicle. One of the many important parts of taking care of your vehicle is keeping odors out of the vehicle. We have many good tips to share with you. 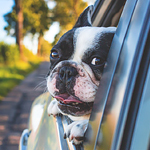 The best way to prevent bad odors from invading your vehicle is to catch them before they get to that point. • Vacuum the vehicle regularly. • Remove and wash floor mats regularly. Here at Bill Holt Mitsubishi, we like to help our customers and other drivers to maintain the value of their vehicles. That said, wear and tear is an inevitable result of consistent vehicle use. Because of this inescapable fact, all vehicles will eventually begin to lose value unless they are constantly overhauled. As this option can be prohibitively expensive, many drivers prefer to either sell, trade in, or refinance their aging vehicles. Drivers who choose the best option for their personal circumstances can often come out ahead in this respect. Have you checked out the technology in the new 2018 Outlander? The carmaker has gone all out to make the Outlander safer and more comfortable with brand new technology that includes a 7-inch touch screen, rear view camera, dual-zone climate control, and so much more. The HD radio, USB port, and Bluetooth offer some more smart features, but you can always upgrade to the premium features to get more, such as dual USB ports, sunroof, satellite radio, push-button start, sunroof, and Rockford Fosgate superior audio system.